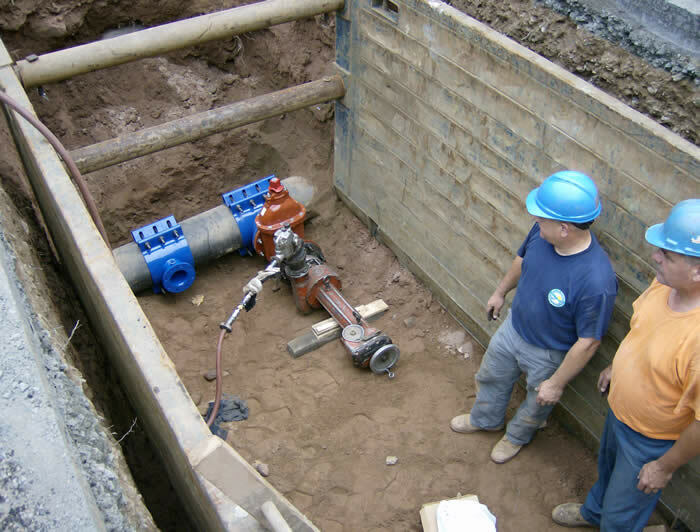 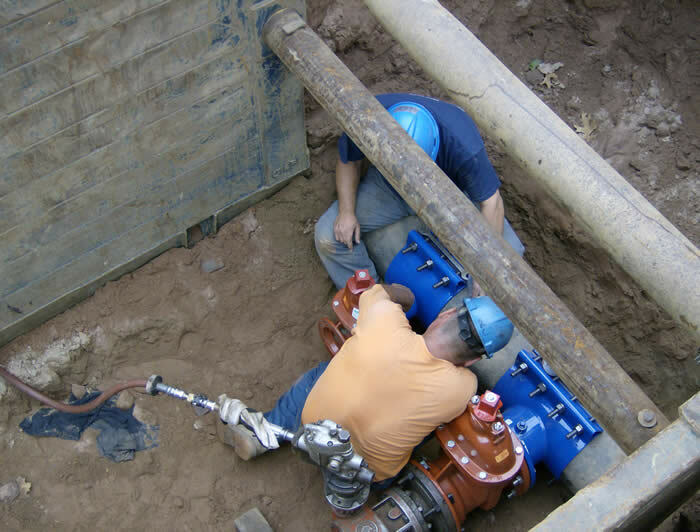 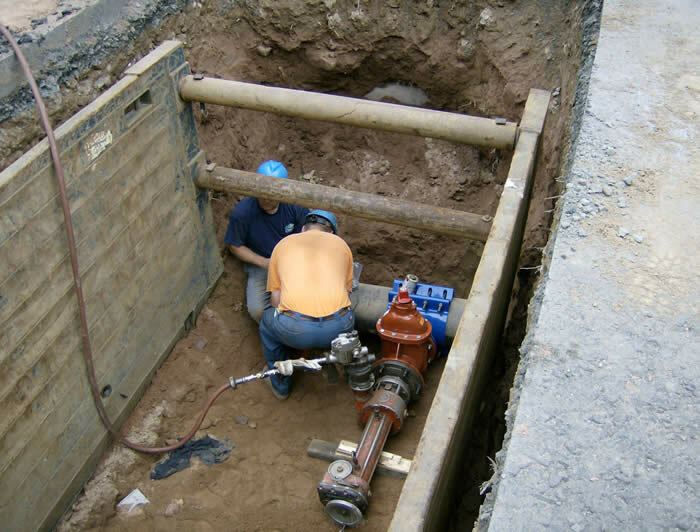 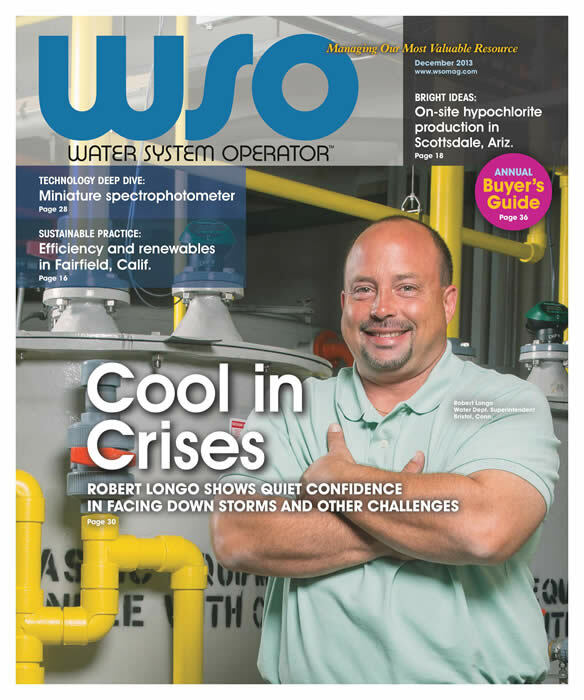 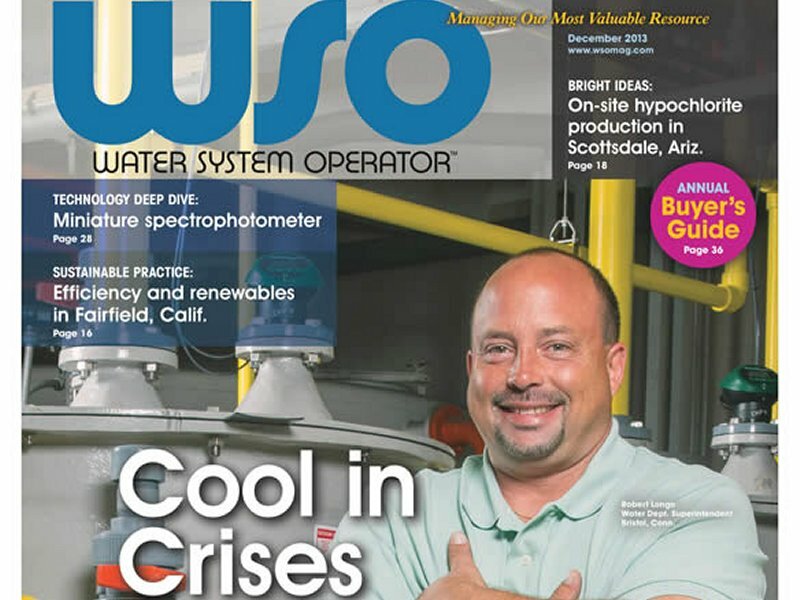 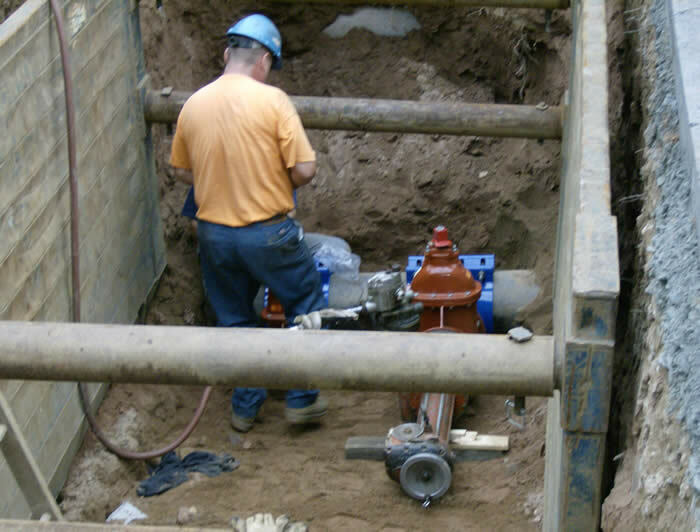 WSO is a National water industry magazine published out of Wisconsin with subscribers around the world. 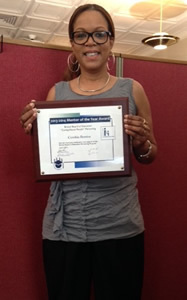 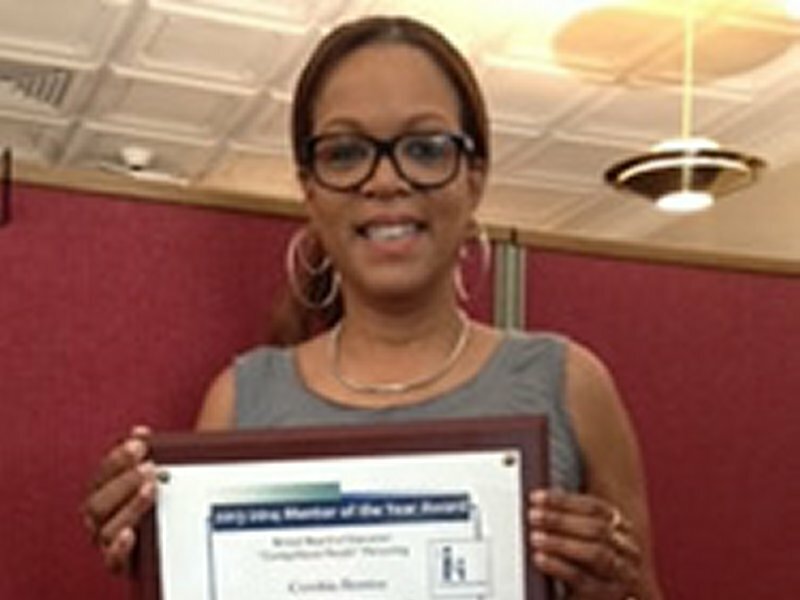 Congratulations to Cynthia Berrios for receiving a Mentor of the Year award.Cynthia has been a mentor for 15 years in the Bristol schools and she is a 26 year employee of the Bristol Water Department. 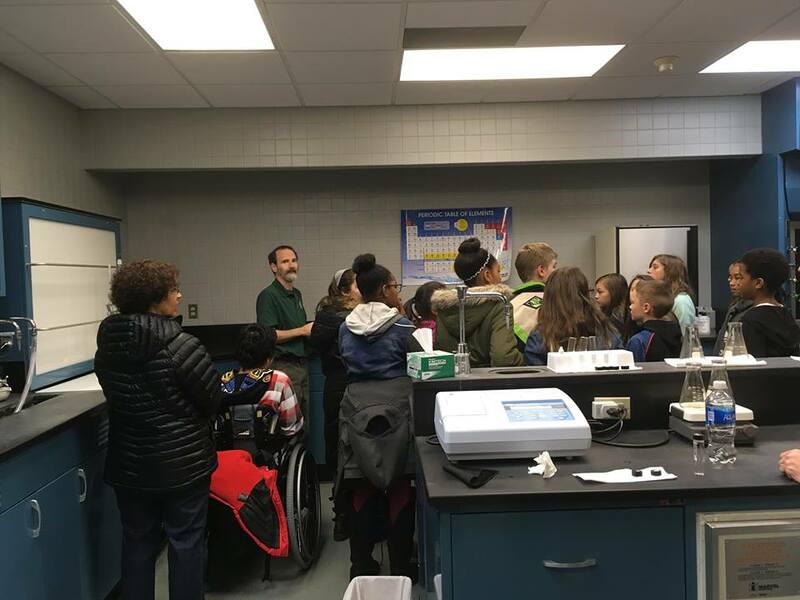 6th graders from the Chippens Hill Middle School took a tour of our Water Treatment Plant to learn how we treat raw water so it can be safe for consumption. 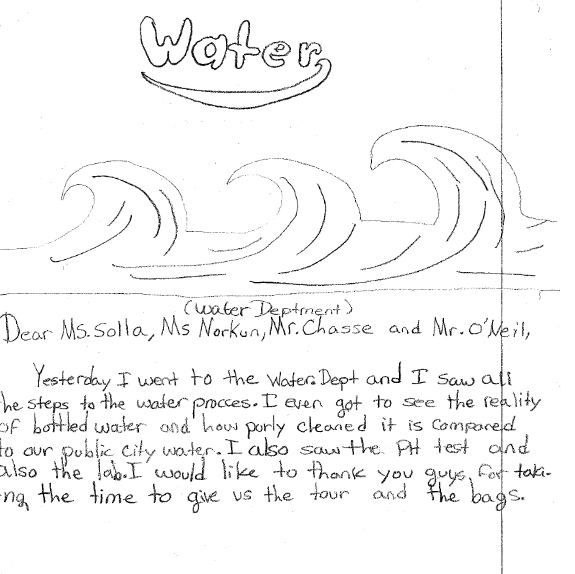 The students also learned about the water cycle, how water sources can get polluted, why we need to protect our watershed and ways to conserve water. 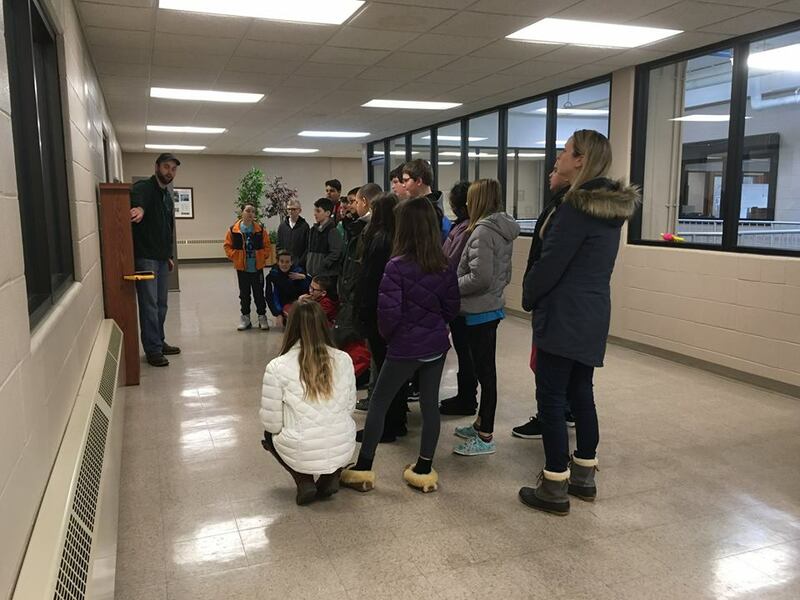 The tours are in conjunction with the schools science curriculum and the tours allow the students to get a hands on opportunity to see not only where their drinking water comes from, but also why it is such a precious natural resource.Today was the 1st of many tours by Bristol 6th Grade students. 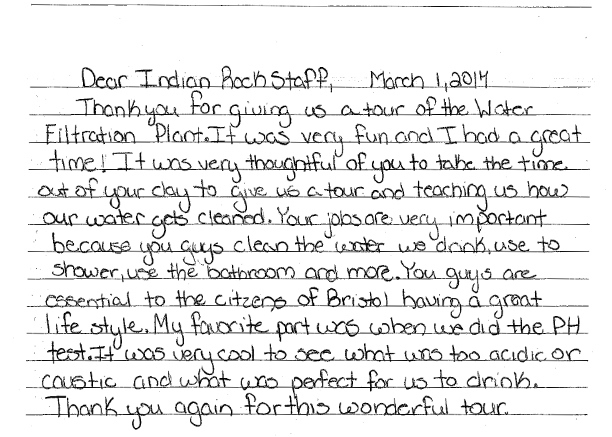 Thank you to the staff from the Environmental Learning Center for helping us run these tours. 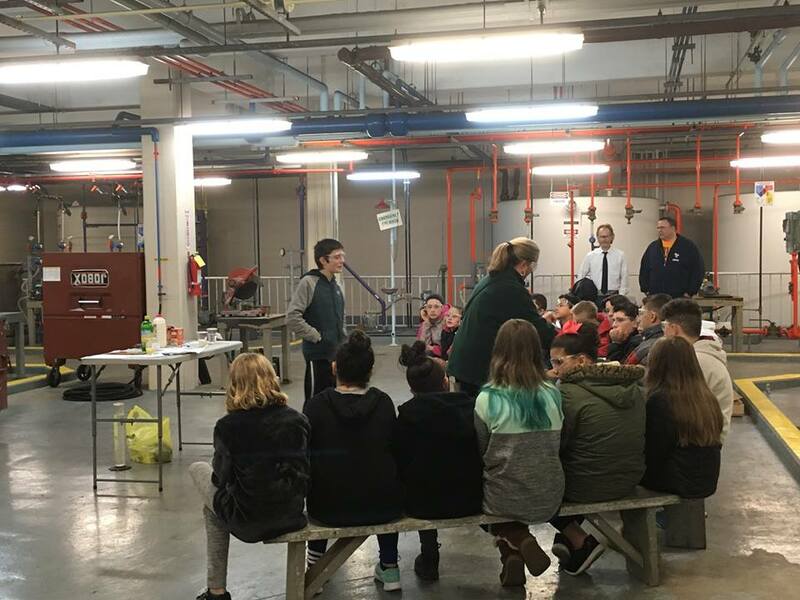 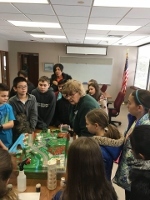 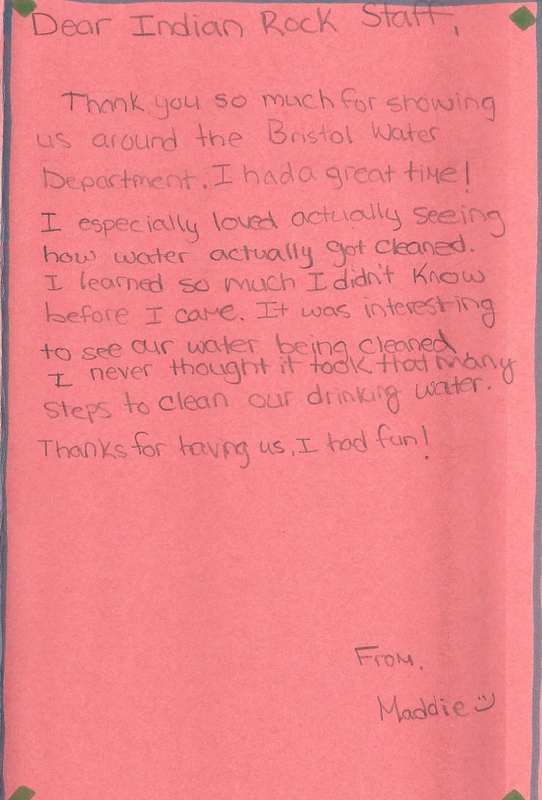 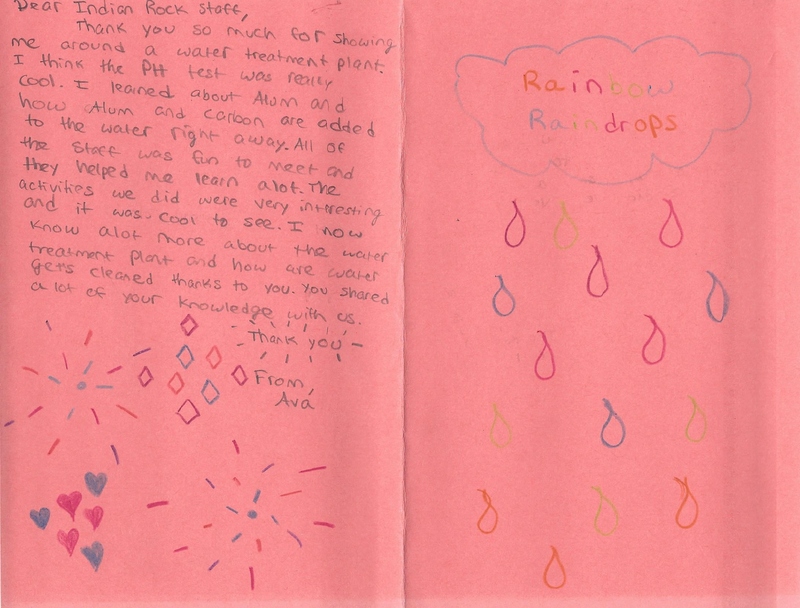 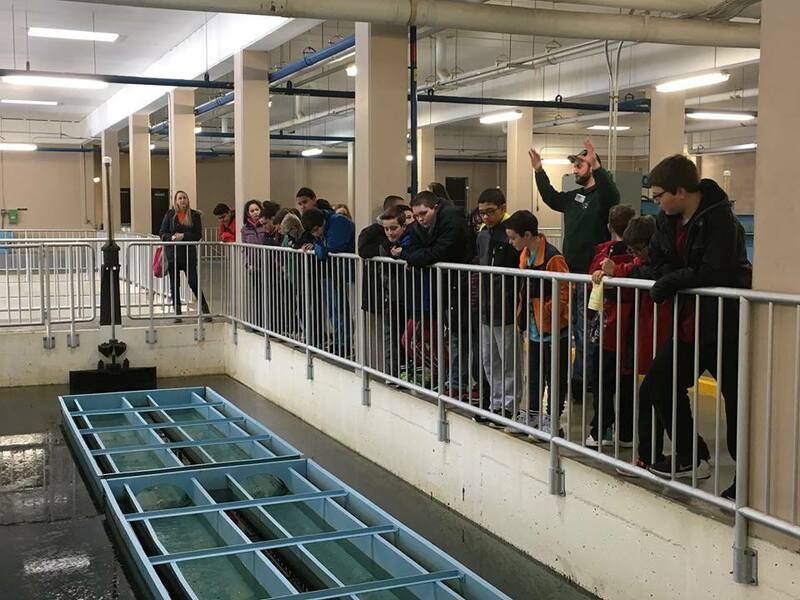 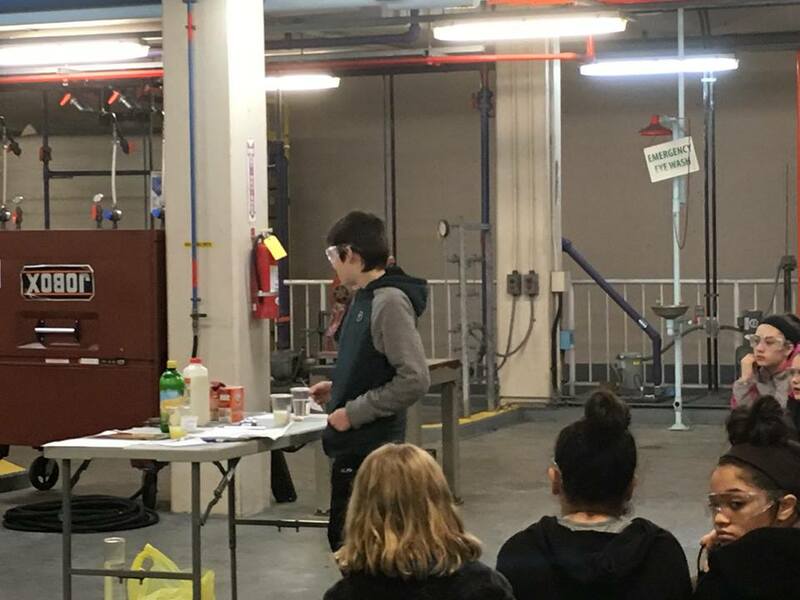 The Bristol Water Department and the Environmental Learning Center have been providing tours for Bristol's 6th grade classes for over 15 years. 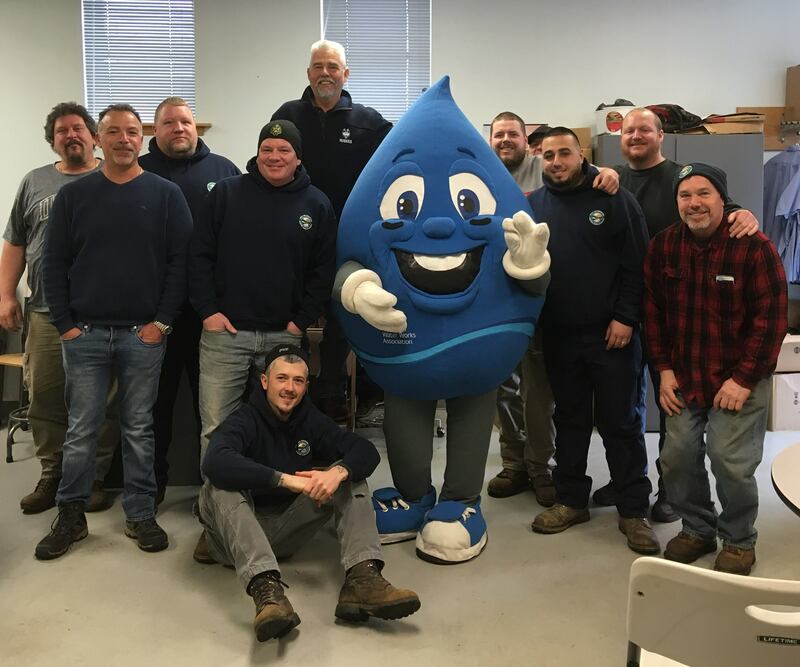 The Bristol Water Department had a Special Guest drop by today! 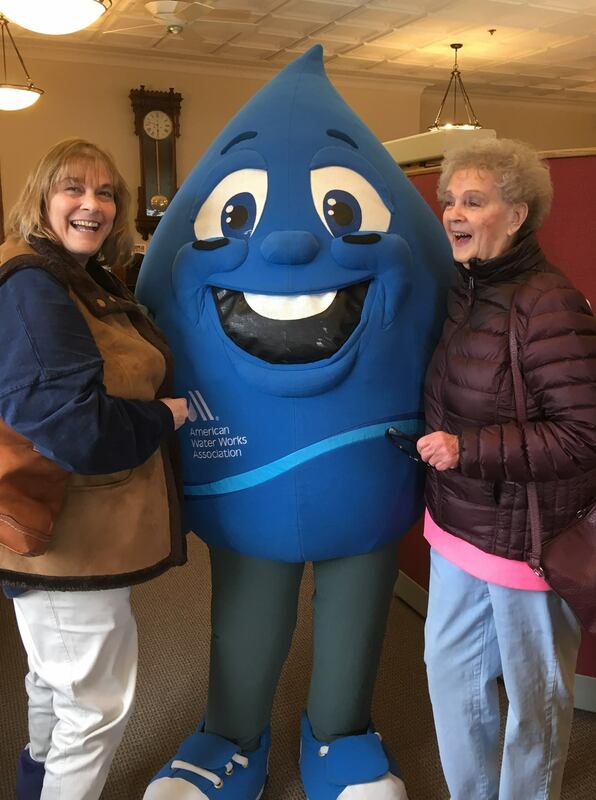 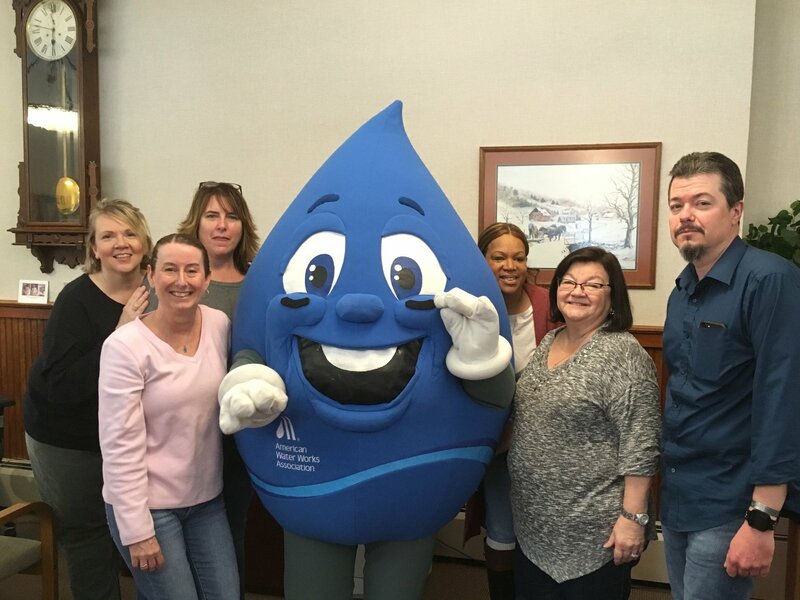 Eddy the Water Drop came by the office on his way back to the American Water Works Association (AWWA) headquarters in Denver, Colorado.Eddy is the International Mascot for AWWA that promotes safe drinking water around the world. 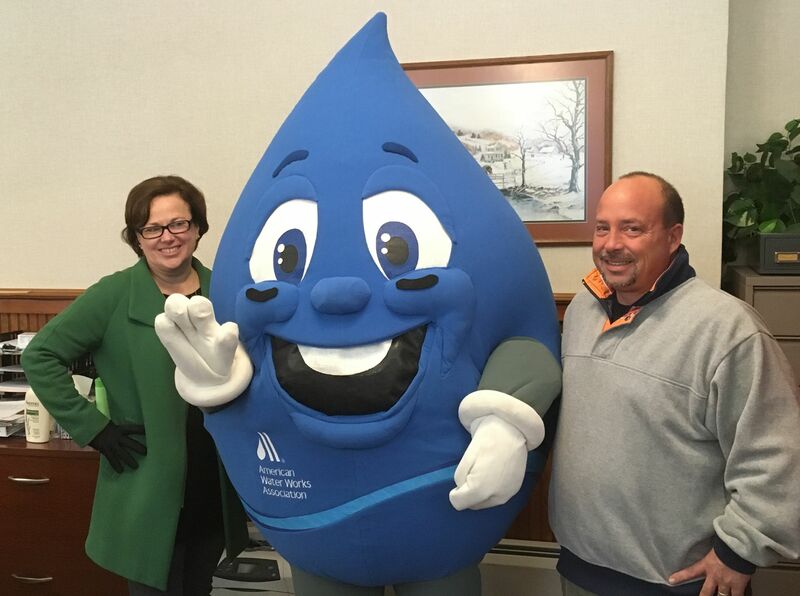 Having Eddy stop by our office to visit with staff and customers, reminds us of our mission to provide safe, clean and affordable drinking water to the residents of Bristol! 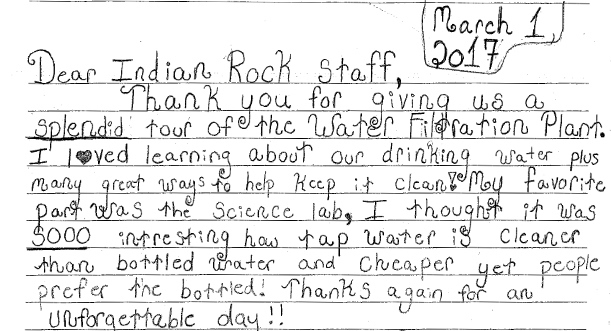 Thank you Eddy and have a safe trip back to Denver!